Tommy Wirkola’s upcoming sequel Dead Snow 2: Red Vs. Dead pays homage to one of my favorite subgenres in all of horror, the Nazi zombie film. (My favorite is still the Nazi zombies emerging from bodies of water sub-subgenre, typified in movies like Shockwaves and Zombie Lake, but Nazi zombies in snow is also pretty great.) The film is finally going to see a release later this fall, and now they’re back with another funny new poster. Like the last poster we saw, this one sheet plays up the tongue in cheek nature of the film. They just want to give you a heads up that there are Nazi zombies on the way, and how better to express that sentiment than with a severed head in a military helmet? See what they did there? It’s hard to go wrong on that front. We all know that only thing worse than either Nazis or zombies are, of course, Nazi zombies. It’s like the two worst things in the world came together to try and eat your brain. There’s a grand tradition of combining these two evils—and within that subgenre there’s an ever sub-er genre of Nazi zombies in bodies of water that’s also a pretty good time—but Tommy Wirkola’s 2009 outing Dead Snow brought it into the modern age. 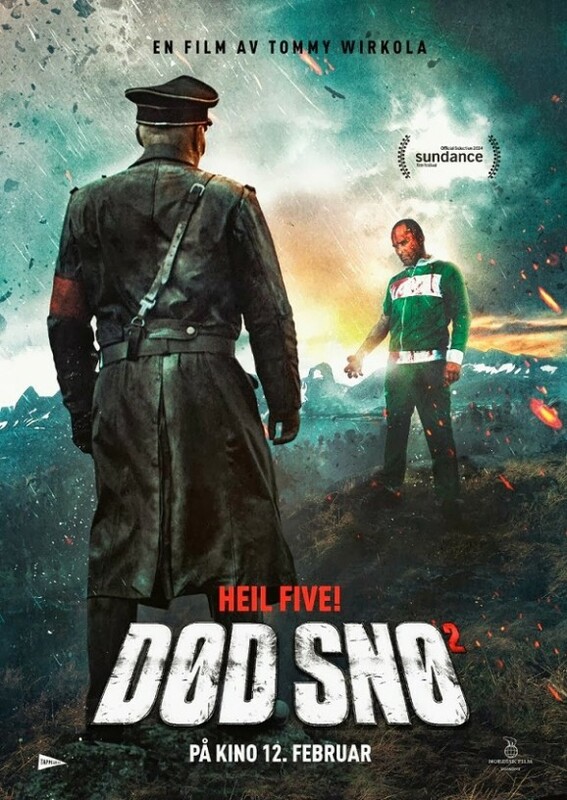 That movie is a blast, but goddamn his follow-up, Dead Snow: Red vs. Dead, looks absolutely insane. The movie just premiered at the Sundance Film Festival, and while most of us weren’t fortunate enough to be in attendance, they unleashed this nutso full trailer for us to wallow in. I’m having trouble coming up with words to describe this new trailer. 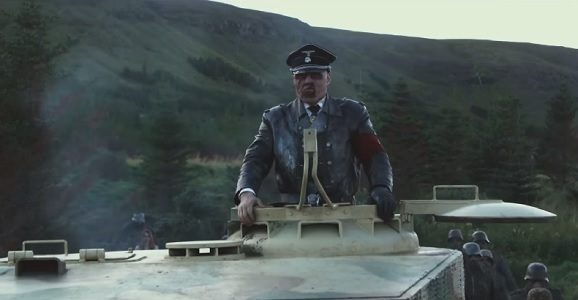 The first Dead Snow was a lot of fun, but Red vs. Dead definitely cranks things up to 11. Sweet baby Jesus, this is two plus minutes of gore-soaked, gleeful mayhem. It looks like any and all pretense of being scary has gone out the window, replaced instead with full-on, intestine-ripping slapstick. Wirkola’s first outing had its tongue planted firmly in its cheek, but this is something else entirely, and I’m having a hard time wiping this giant grin off of my face. The wide release of Tommy Wirkola’s Dead Snow: Red vs. Dead, the sequel to his surprisingly fun 2009 gorefest Dead Snow, is still presumably months away, but it will soon make a blood splash of a premiere when it hits the Sundance Film Festival next month. And what better way to get potential fans interested than releasing a teaser trailer that both calls back to the first film while giving us a humorous vision of things to come. I didn’t vocally holler out “Hell yes!” at the conclusion of the above video, I certainly thought it loudly enough. 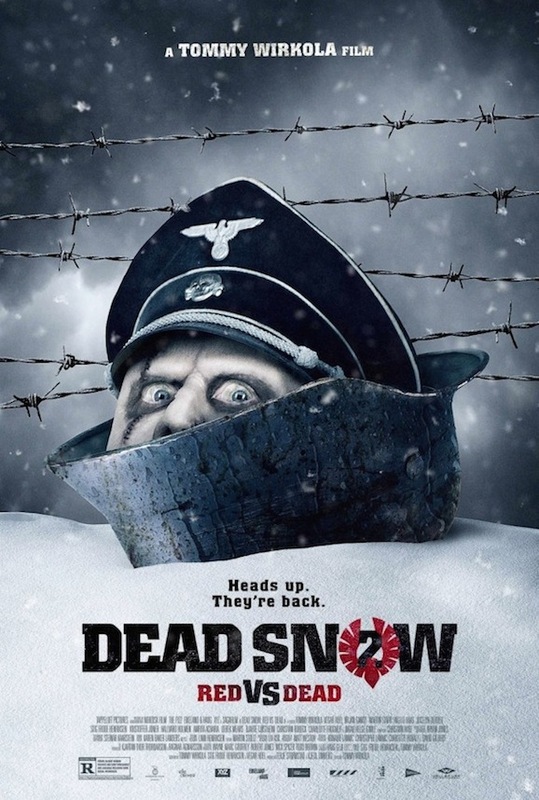 As a big fan of Tommy Wirkola’s 2009’s horror/sorta-comedy Dead Snow, I’m really on the fence when it comes to the upcoming sequel, Dead Snow: Red vs. Dead. It appears to be more of a passion project for Wirkola and less a way to capitalize on the cult success of the first film, plus it has the awesomeness that is Martin Starr. But it’s a sequel to a Nazi zombie movie, so it’s handicapped just by existing, and it’s got one of the most direct-to-video titles I’ve ever heard in my life. In a push to build excitement for its upcoming premiere at the Sundance Film Festival, they’ve released an international poster, and it’s partly as off-putting as the title itself. Luckily, the official synopsis has also been unveiled, and all previous reservations go flying through the window, cutting themselves open and bleeding all over the place in the process.